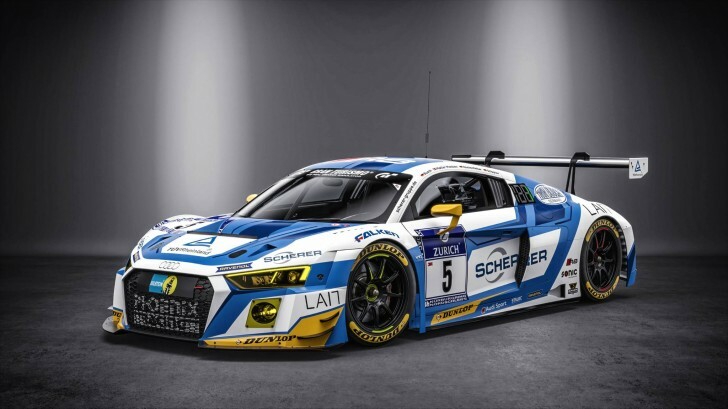 In the 2017 motorsport season, Phoenix Racing is concentrating on two highlights in Europe: As well as the usual involvement as Audi Sport Team Phoenix in the DTM, the team is preparing intensively for the 24-hour race at the Nürburgring. At the same time, Phoenix is continuing to expand the GT program in Asia, which began successfully last year. The domestic Nürburgring-Nordschleife will again play a central role in the Phoenix Racing race calendar. The motorsport team from the Eifel will compete in the first two races of the VLN Endurance Championship Nürburgring. Afterwards comes the qualification race for the 24 hours Nürburgring, the dress rehearsal for one of the great highlights of the year. On May 27, the 45th edition of the endurance classic in the Eifel gets underway. Frank Stippler, Mike Rockenfeller, Dennis Busch and Nicolaj Møller Madsen will share the cockpit of the TÜV Rheinland-Audi R8 LMS for the twice-around-the-clock marathon race. After 2000, 2003, 2012 and 2014, Phoenix Racing is targeting its fifth overall victory. In Asia, the team headed by Ernst Moser will compete in several racing series. Last year, with Alex Yoong, the team won the title in the Audi R8 LMS Cup for the first time. In 2017, Phoenix Racing Asia will use altogether six of the GT3 racing cars. In the newly founded Blancpain GT Series Asia, Phoenix will compete with two cars at the six events in Malaysia, Thailand, Japan and China. In addition, Phoenix Racing Asia will contest the complete season of the China GT Championship with two Audi R8 LMS and will enter the TCR Asia series with the new Audi RS 3 LMS TCR touring car. For the challenges this year, Phoenix Racing can rely on proven and new partners at its side. The TÜV Rheinland and the car-trading group Scherer remain an integral part of the partner activities. In addition, the team continues to rely on Dunlop tires in all the races at the Nürburgring-Nordschleife. The partnerships with Ravensburger Schmierstoffvertriebs GmbH (Ravenol), Sonic Equipment GmbH and Staloc also continue in the 2017 season. Also on board are the workshop equipment manufacturer Twin Busch, agency Lait and the simulator experts Fanatec and ChassisSim.